Enabling works for the construction of a new health facility building consisting of sewer, water and essential services upgrade and extension. Relocating of services and upgrade of existing building for future Greater Southern Area Health Service head office. Upgrade of carpark and roadways. To achieve the fast track programme. 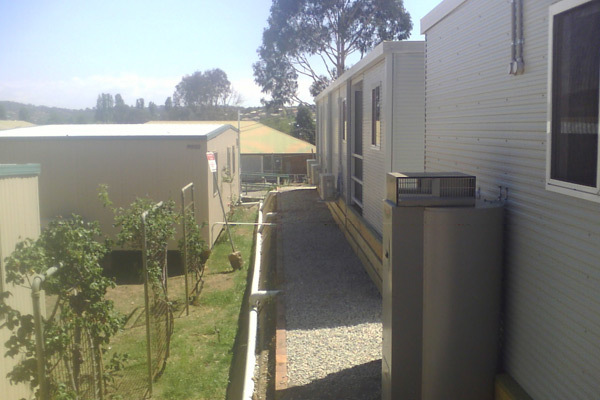 The demountable buildings were internally fitout by Project Coordination on site. This was completed ahead of schedule and under budget.